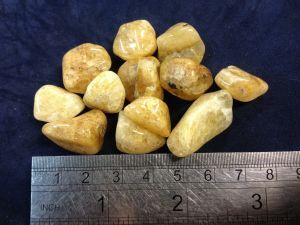 Amber is fossilised resin and is usually golden to yellow-brown in colour. Some amber has been found to contain red, blue, or green hues. Amber is to help allow the body to heal itself by absorbing and transmuting negative energy into positive energy. It's said to emits a sunny and bright soothing energy which helps to calm nerves and to enliven the disposition. Amber is said to provides an energy to kindle the realisation and subsequent response of choice, helping one to choose and to be chosen. 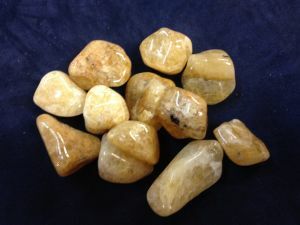 Milky Amber Baltic tumbled to a smooth finish, an ideal pocket size stone, small enough to carry around with you. Tumble Stones can also be placed around the home for their energies or can just be nice decorative items. Milky Amber of varying size selected specially for your order.